Next Sunday's oral history walking tour in Loudoun County will celebrate the lives of enslaved people who lived and died in neighboring plantations. LEESBURG, Va. — A gathering is on the way for history enthusiasts and Loudoun County community members to honor some of the county’s forgotten residents: slaves from two neighboring plantations. Next Sunday’s oral history walking tour will celebrate the lives of enslaved people who lived and died on the Coton and Belmont plantations. 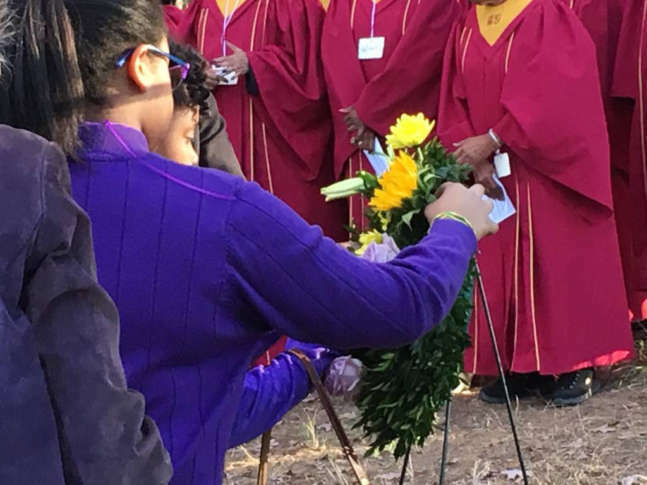 The Day of Reflection and Unity will begin at Lansdowne, site of the former Coton plantation, and will end with a wreath-laying at the Belmont Slave Cemetery which is nestled in the woods and hidden in plain sight across Route 7 at Belmont Ridge Road. It’s part of the Loudoun Freedom Center’s work to preserve and share the county’s African-American history and to ensure future generations also connect with the county’s rich and diverse past. Email LFCInfo@holyandwhole.org for more information.